Although this isn't the greatest collection we've ever purchased, it's actually quite interesting on how we acquired these cards. Not only because whom we purchased them from, but also how they were found and kept. A few weeks ago, we met up with a non-sports dealer that we have done tons of business with in the past. 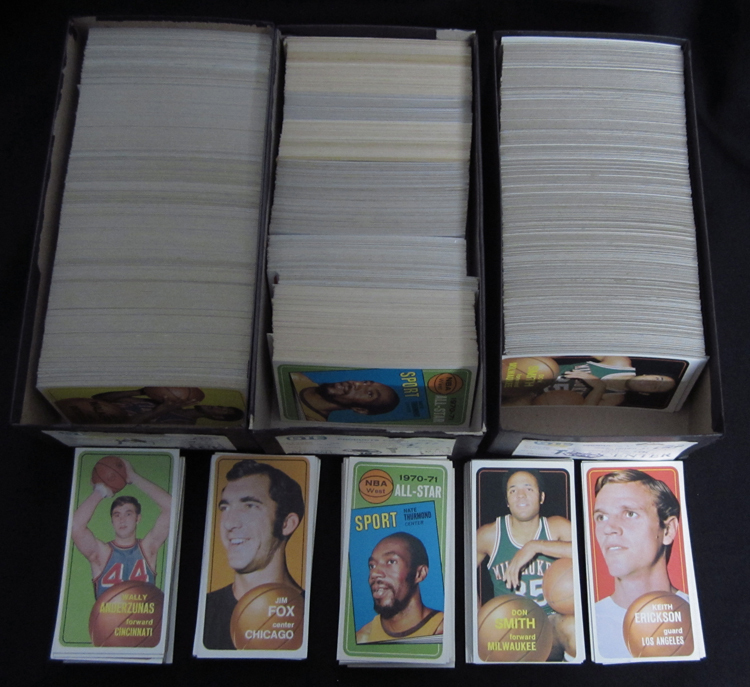 He had reached out to us because he had a fresh collection of 1970 Topps Basketball cards, "Tall Boys", that he had actually gotten from another non-sports collector. Weird, right? So the back story was that the non-sports dealer who we knew, wanted to buy a group of non-sports cards from another non-sports collector, but they were a part of a collection that also consisted of sports cards - and it had to be sold as a "packaged deal". Well, since he knew there would be a market for the sports cards (Just Collect), he was able to buy the deal, and unloaded the basketball cards to us as soon as he could. Which brings us to two weeks ago, when we met up with our non-sports dealer. He handed us a few shoe boxes filled with cards, and said something along the lines of, “I think you are going to like these”. I'm sure you can imagine my caution of accepting these cards. 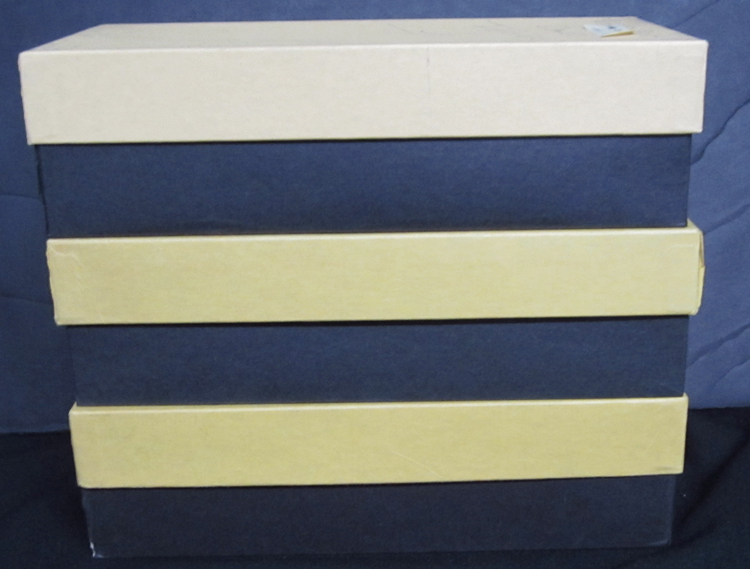 A shoe box full of cards? Was this some sort of joke? What condition could they possibly be in? Well, to my surprise, it was an incredible group of 1970 Tall Boys, which were mid-to-high grade. I couldn't be happier. I didn't even care that there were no stars in the collection. What it lacked in star-power, was made up for in quantity and condition. I was very pleased, and made him an offer on the spot - which he happily accepted. Everyone needs to understand that not every collection is going to be filled with Hall of Fame rookies, AND that every collection might not be as it appears, so it's imperative to be open minded (as we have documented in our "Trash To Cash" purchase) . But that doesn't mean the collection isn't worth anything. There are tons of collectors out there looking for "set fillers" and minor stars in decent condition - which is exactly what we are going to provide. It's just a matter of taking the time to properly evaluate the collection, and be smart about what you spend. So why are the 1970 Tall Boys so desirable? Well, for one, finding high graded examples come few and far in between. There have been over 43,000 examples submitted to PSA from this set, with 67% grading out in the Near Mint to NM/MT range, with less than 1% grading out at GEM MINT. So as you can tell, high grade examples are very desirable and come at a premium. We have sent a handful of these cards out to PSA for grading, and are anxoius to get them back to see how they graded out. We are expecting a bunch of high graded examples, which we will auction off this winter, via our weekly eBay auctions. 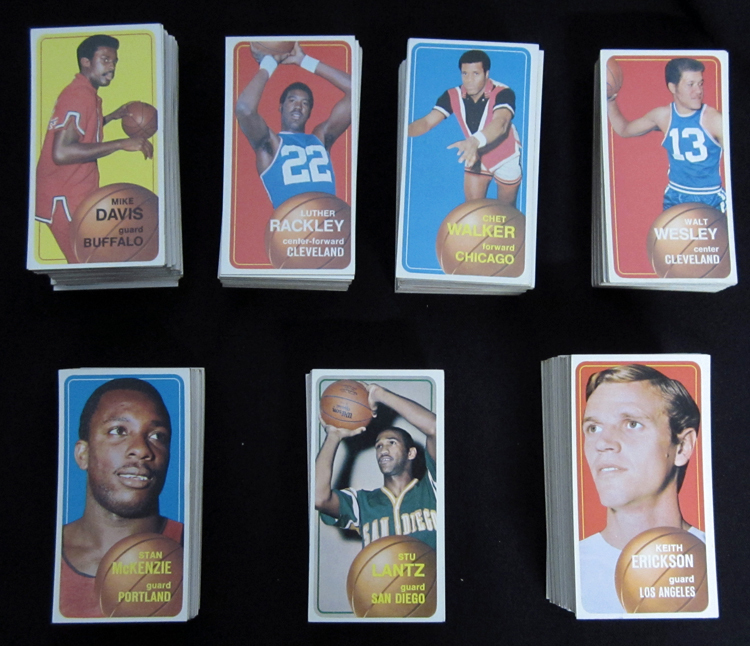 This is also a key set for many collectors, as it includes the "Pistol" Pete Maravich rookie card, as well as other star cards, such as Lew Alcindor (Kareem Abdul-Jabbar) and Wilt Chamberlain. I can tell you from experience that singles from this set are chased by many collectors, thus creating quite the demand throughout the hobby. Which is why we bought this group of cards sans the rookies/big stars being present.